Multi-cuisine food store Eeetwell opened a new outlet in Merchants Street, Valletta, on January 11. To celebrate the occasion, the management threw a grand opening party where more than 1,000 people visited the shop throughout the day, enjoying live music, sneak peek tastings of various items soon to be introduced, smoothies and juices. Founded in early 2016, eeetwell is the go-to destination for chef-inspired flavourful healthy food, refreshing juices and icy smoothies. Three years ago, eeetwell opened with a 60-square metre restaurant and little-to-no experience in the hospitality industry. Fast forward today... they run three stores, one food truck and a fully operational, centralised kitchen. Considering the initial difficulties, Eeetwell’s mission has since day one been clear: to bring a healthy, sustainable and affordable food choice closer to the Maltese community. 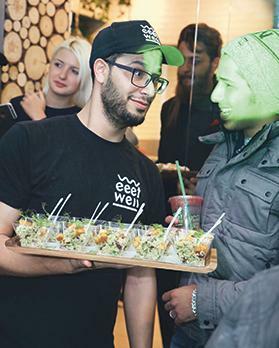 “The daily choices we make about what we eat, where it comes from and how it’s prepared have a direct impact on the health and well-being of our people,” said marketing manager Marco Santini and founder and managing director Ammar Soltan. “We vowed to offer our customers only the healthiest recipes made by the freshest ingredients on the market, with no artificial additives, preservatives or colourings. Helping them live the life they deserve,” they added. The Valletta event was an absolute success. Regardless of the rain, scores of people visited the outlet throughout the day. 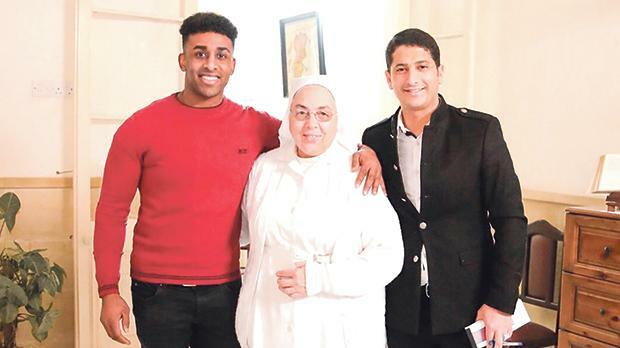 All the proceeds from the party went to the Ursuline Sisters, a non-profit organisation with a huge heart on a mission to improve life of children in difficult situations.